Rahul Gandhi’s announcement is certainly good politics, but does it make for good economics? 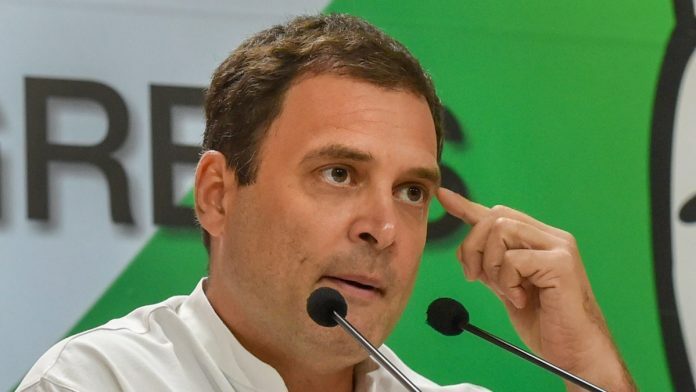 Congress president Rahul Gandhi’s announcement on a minimum income guarantee for the poor, coming days before the Narendra Modi administration unveils its own income support plans in the interim budget, certainly makes for good politics. But does it make for good economics? With the stress on farmer incomes and rural wages reaching crisis proportions, efforts to loosen the constraints on household budgets were long overdue. A targeted cash transfer holds the highest potential for being a progressive intervention compared to the other options on the table, such as Rythu Bandhu-style investment support or farm loan waivers. But with the Congress leadership remaining tight-lipped about the scheme’s fine print, how should we determine its effectiveness? There are three primary considerations for a targeted cash transfer of this scale: cost and financing, targeting, and delivery. First and foremost, the Congress’ proposal makes a significant departure from prior basic income proposals in India by not offering a uniform payout. Instead, it would demarcate a certain income level as a “minimum income”, and all households earning below this level would be provided with a cash transfer the size of their income deficit. Perhaps, the biggest question about this feature is: how? That there is a paucity of income data in India is a wild understatement with administrators having a patchy record at identifying the poor, let alone the extent of their poverty. The non-trivial administrative costs of such an endeavour are a challenge, as are its political economy implications – just imagine neighbours comparing their respective payouts and finding unexpected results. More broadly, depending on the size of the transfer and its associated financial burden, the financing choices made will be key to determining the programme’s desirability. Are regressive programmes like fertilizer subsidy put on the anvil, or are relatively well-functioning parts of the safety net, such as the food security programme in recent years, cut to make fiscal space? Second, how will recipients be identified? The programme’s framing so far indicates that the poor will be targeted, but the use of BPL cards, SECC data, or other forms of geographical or categorical targeting methods comes with varying trade-offs and levels of targeting efficiency. In contrast, several economists, including most recently former Chief Economic Advisor Arvind Subramanian, have suggested the use of exclusion criteria as a more administratively feasible mechanism to target ‘out’ the obviously affluent rather than targeting ‘in’ the genuine poor. Finally, how does the transfer reach beneficiaries? If the answer is Aadhaar-linked bank accounts, then the proposed programme must clearly articulate measures undertaken to prevent transaction and authentication failures, issues with Aadhaar seeding, and malfunctioning technology – problems that have plagued Aadhaar implementation across a variety of welfare contexts. Can the Congress design a well-targeted cash transfer, financed by cutting wasteful government expenditure, and implemented with full awareness of state capacity constraints? That is the minimum guarantee India’s poor deserve. The author is a master’s candidate in international economics and international development at the Johns Hopkins University School of Advanced International Studies. He was a research analyst at Carnegie India.